Air Tight is the brainchild, and long-cherished dream, of Atasushi Miura (shown at right ). 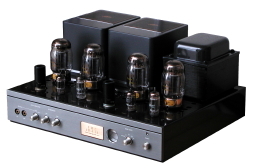 His father, who began by building transformers for the budding Japanese audio industry back in the '30's, was the head of Luxman Corporation, a manufacturer of fine audio equipment known for their high quality sound and construction. To this day, among the audiophiles who remember it, the original Luxman line is still spoken of with a certain amount of reverence. Thus, Mr. Miura was "born" into audio. Under his father's guidance, he worked his way through the company, attaining the status of audio engineer, designing the circuits for many of the famous Luxman tube amps. The company grew and, eventually he took over the reins at Luxman. 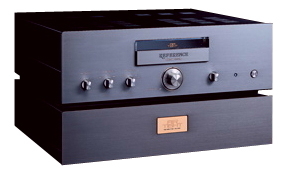 In the mid-'80's, Mr. Miura began sensing a shift in the audio industry toward lower quality components. 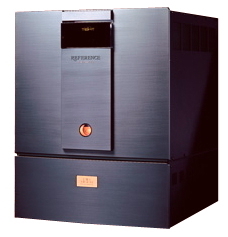 Rather than become part of the slide into mediocre, mass-market products, he decided to sell off Luxman (to Alpine) and start his own new company, Air Tight, dedicated to producing the highest quality audio components possible. Air Tight electronics are globally recognized for their exceptional sonics, aesthetic design, and reliability. These are components for people who truly love music. 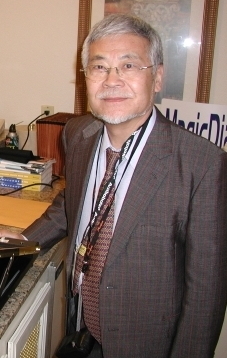 In 2006 Miura-san celebrated Air Tight's 20th year in business by relocating the factory to an expanded facility in Takatsuki, Japan, (halfway between Kyoto and Osaka) where he has a dedicated listening and evaluation room (as well as space for his collection of vintage audio gear). Shortly thereafter, Miura-san's Air Tight phono cartridges began garnering lots of well-deserved attention, and are now an ubiquitous part of reference-quality phono systems world-wide. We are proud to offer the Air Tight line to our customers.